I'm sure there was a time in my life - probably before kids - that I would have said "I'll never give disgusting presents to other people's kids". 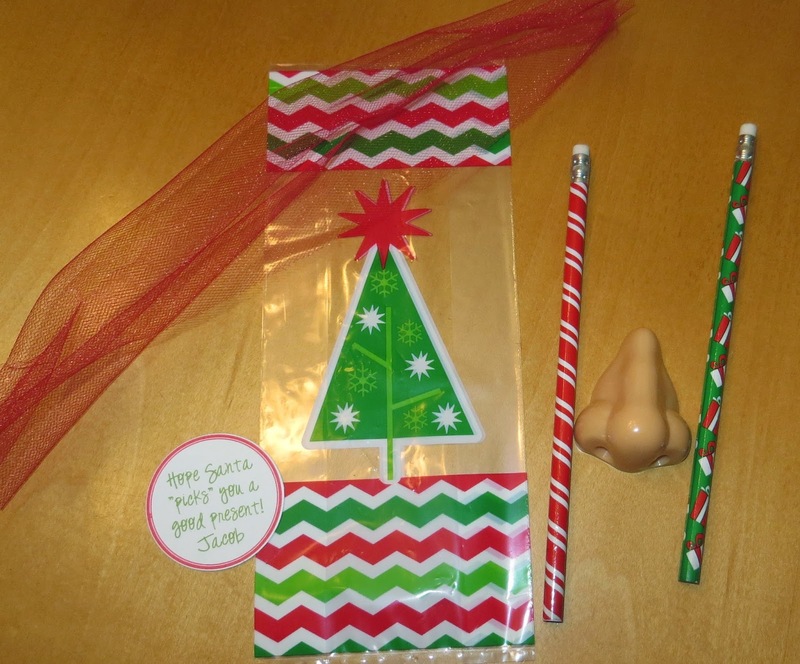 But, here I am, 2 little boys later, giving away nose pencil sharpeners for classmate gifts this year! I found them on Amazon for around 50 cents each and got Christmas pencils from the Dollar Tree to go with them. I made a tag that says "Hope Santa 'picks' you a good present!" that you can download HERE. Print these on white cardstock and cut out with a 2 inch circle punch. Assemble the pencils and sharpener in a bag, attach tag with tulle, and you are ready for some laughs!